A couple of months ago, Nissan announced that it would be experimenting with new Microsoft Kinect-powered hardware for previewing vehicles that are not yet in dealerships. 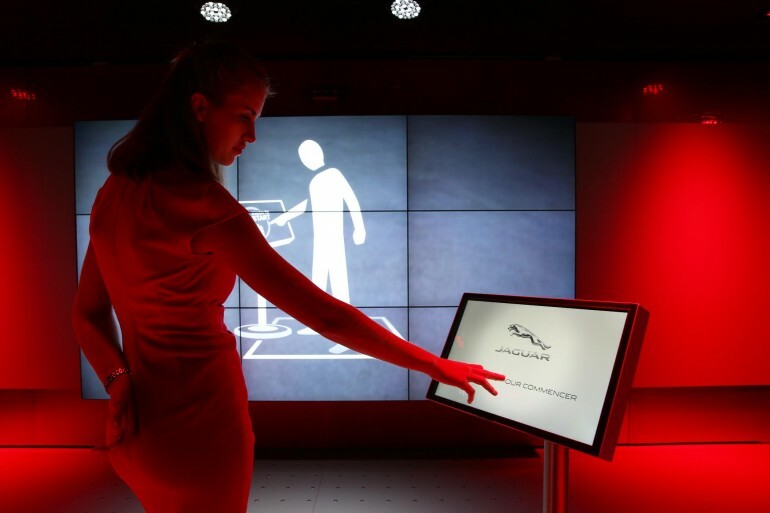 Jaguar Land Rover's Virtual Experience is quite similar in aim and design. Virtual Experience creates a near-life-sized, high-resolution rendering of vehicle models. 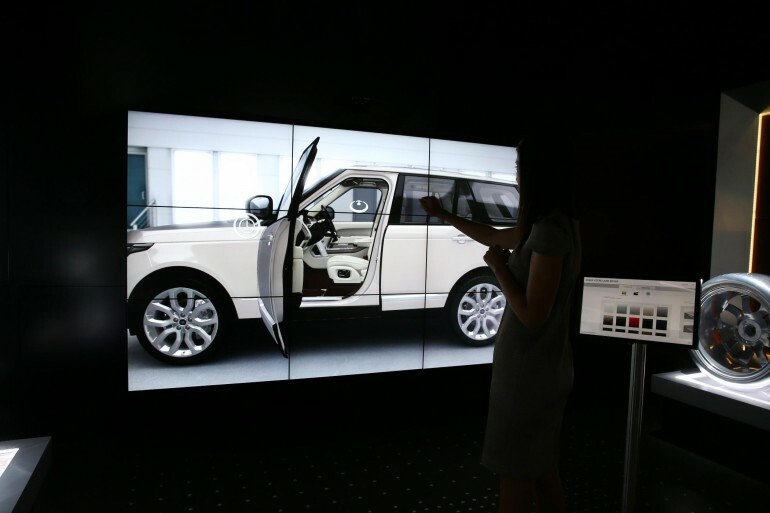 The customer chooses the model and options using a touch pad, and the system shows a nearly hundred percent scaled video representation of the vehicle on a large display. Like Nissan's system, the customer explores the the interior and exterior with a few natural points and gestures. 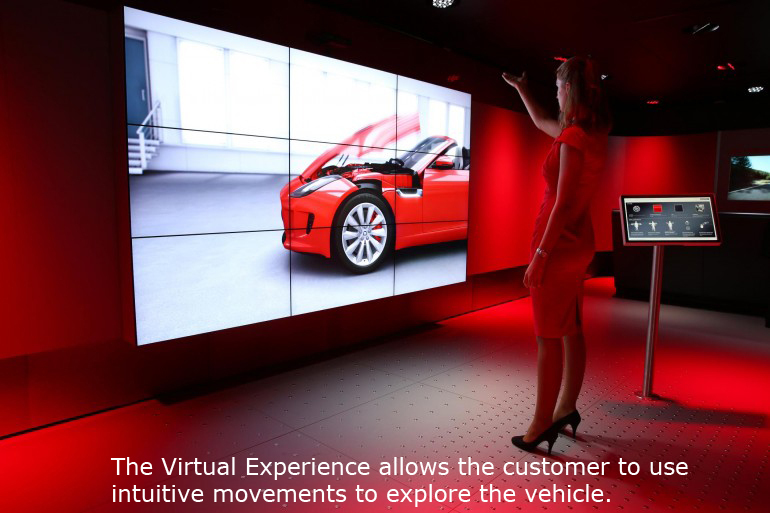 Jaguar Land Rover designed the Virtual Experience system to be light and portable. The company anticipates using it at events where it may not have the space to display a physical vehicle, as well as at more traditional spaces like dealerships and auto shows. Virtual Experience debuted with the new Range Rover and was on hand at the recent Paris Motor Show, where Jaguar used it in the F-Type presentation. The company plans to expand it to display the entire Jaguar and Land Rover lines. To make Virtual Experience even more consumer friendly, Jaguar is working on software that allows customers to create and save a vehicle on a personal computer or smartphone and bring it into the dealership to display via Virtual Experience. This promises to provide the customer with a more realistic, life-sized representation of the vehicle than computer pictures, videos and configurators currently do. It will also allow the customer to get a realistic feel for colors and options that aren't in stock.